Plastics for Change is using mobile technology to reduce plastic pollution and create resilient livelihoods for the urban poor in developing countries. Did you know over 3 billion people lack access to formal waste management? So where does this plastic end up? Well unfortunately a lot of this plastic waste ends up flowing into our rivers and oceans. In fact by 2025, there is expected be 1 tonne of plastic for every 3 tonnes of fish in our oceans. 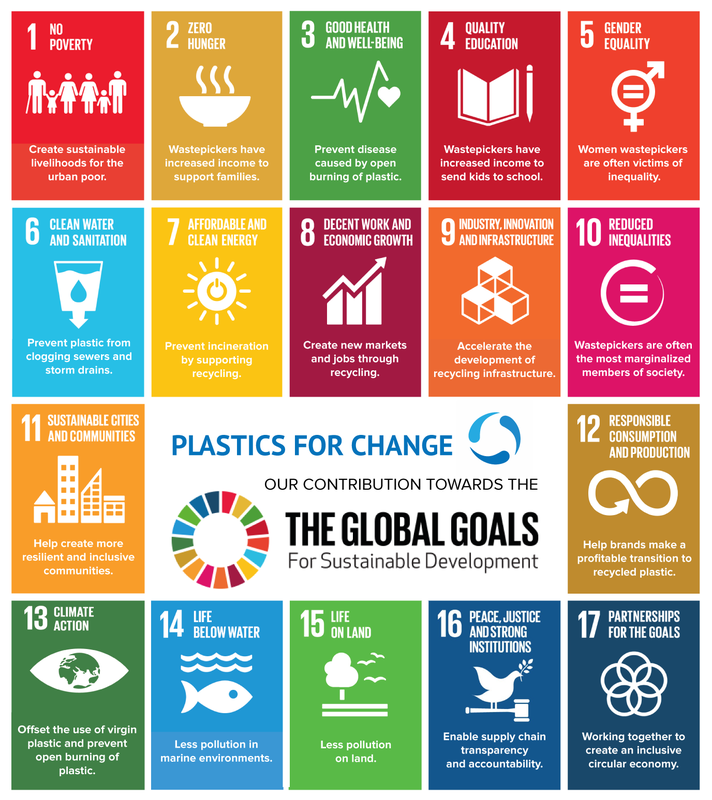 But, this can change, our program helps to create dignified livelihoods to address the root cause of plastic pollution in developing countries. We've adopted strategies from fair trade agriculture and applied them to the informal recycling economy in developing countries. Our deal process and mobile platform provides urban waste pickers with access to fair market prices. This ethical sourcing platform enables our corporate partners to immediately improve the social and environmental impact of their products, while increasing the value of their goods with today’s conscious consumers. Learn how your favorite brands can purchase ethically sourced plastic. This initiative is about transitioning the industry towards a circular economy and measuring progress towards the Sustainable Development Goals. We've partnered with global brands and manufacturers to catalyze real change in communities that need it most. Help us scale our ethical sourcing platform and create positive change through responsible supply chains. Get Involved In The Circular Economy.